We all know Santa Claus as a jolly old man with a white beard, a common truth passed down orally through generations. 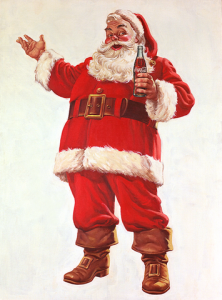 What many of us don’t know, is that the stereotypical Santa we picture, wearing cherry red trousers and a red hat, is a perception we can thank Coca-Cola for. The tale of St. Nick existed long before the Coca-Cola industry, but the soda brand gave us our typical understanding of what we think Santa to be. Today, you can see images of Santa dressed in red all over the world. This is understandable when we consider that Coca-Cola, a drink originally prescribed as a “pick me up”, is now distributed to over 200 countries worldwide. Each of these countries having the same image of Santa Claus, as an old man with a white beard, dressed all in red. Another ad that took the world by storm, was “1984” by Apple Macintosh, featured for the first time at the superbowl. This ad still receives much credit for being one of the most well thought out and designed ads in history, although its real impact was on the individual independently owned computer industry. After this advertisement, the world changed. 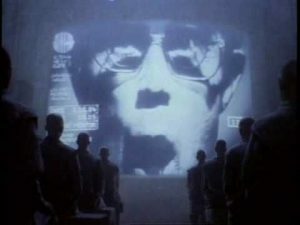 Shortly after people were finally exposed to the way computers could change their lives, following the “1984” superbowl ad, Macintosh sold about $155 million dollars worth of technology in the following three months, deeming the project a complete success. The designers of the “1984” Apple Macintosh ad debunked the popular negative opinions about computers, and changed the entire human experience forever. A more recent campaign that affected those around the globe was the #BostonStrong campaign, following the Boston Marathon bombing. Two nearby college students studying at Emerson created the slogan, as well as a few t-shirts, hours after the event. 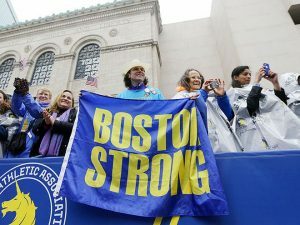 Because of similar campaigns such as army strong and livestrong, Boston Strong was something familiar, empowering, and easy for people to get behind. These two simple words created a spark of unified protection against foreign threats. People all around the world were terrified by the unpredicted bombings, but they were equally unified by the #BostonStrong movement. For the first time in a long time, people all around the world came together to show their oppressors that they were not broken, and not alone. #BostonStrong will forever be the ad campaign that taught the world how strong a group of people can be when they come together.